Following a disaster, life-saving assistance is the most urgent need. The rapid provision of food, water, shelter and medical care is vital to prevent further loss of life and alleviate suffering. However, practical experience, backed by research, supports the view that even at this stage, relief must be conducted with a thought to the affected community’s longer-term benefit and certainly should not be prejudicial to it. And as communities begin to get back on their feet and rebuild their lives, aid agencies need to help strengthen their resilience to future hazards. Just restoring the pre-disaster status quo may inadvertently perpetuate vulnerability. Likewise, development programmes need to take into account existing risks and susceptibility to hazards and to incorporate elements to reduce them. The two approaches are interdependent, complementary and mutually supportive. Early recovery is the process of people’s lives returning to normal in the immediate aftermath of a disaster. It involves providing assistance to people in the earliest stages of disaster response in conjunction with the provision of relief, improving the effects of the relief and providing the basis for longer-term recovery. Early recovery enables people to participate more readily in longer-term recovery activities. 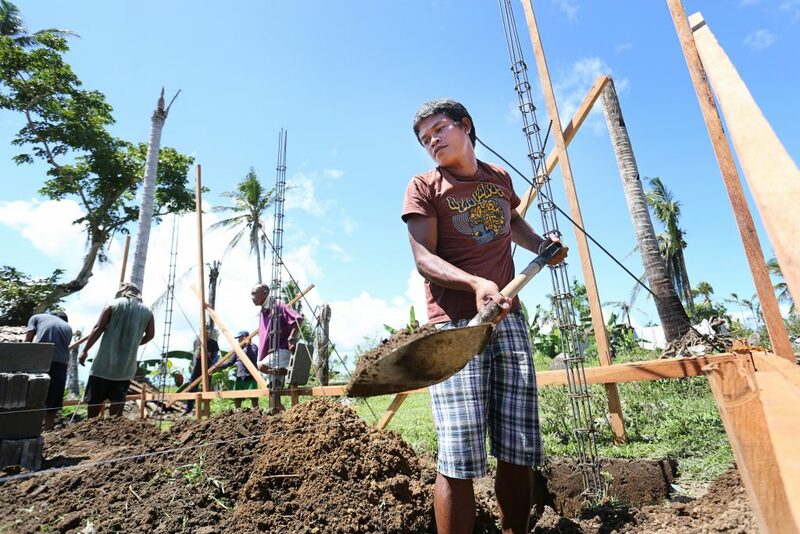 Recovery, in the context of disaster response, is a process that results in people’s lives returning to normal in such a way that they will be more resilient to future disasters. The extent to which people can recover after a disaster depends on the situation beforehand and how robust or resilient their resources are to withstand the effects of the disaster. For some, recovery will be relatively quick, while for others it may take years. Recovery programming builds on the affected people’s immediate efforts to cope, recover and rebuild. It starts early, alongside relief, seeking to assist people at the peak of the crisis and continues into the mid-term to build greater resilience. Recovery programming includes well-linked actions to protect and restore livelihoods, enhance food security and a wide range of other actions such as community and public health, temporary and longer-term shelter provision, protection and psychosocial support. These activities are undertaken in a way that reduces dependency, mitigates conflict and works towards meeting longer-term risk reduction objectives. Rehabilitation and reconstruction are activities involving the repair and rebuilding of assets. Assets include physical infrastructure such as roads, transport services, utility supplies, public buildings, markets, and housing. These activities may involve minor repairs, infrastructure restoration or major rebuilding and may be undertaken by individuals (repairing their own properties) or by others such as contractors or locally trained artisans.